Back in 1976, the music really did die in Omaha. 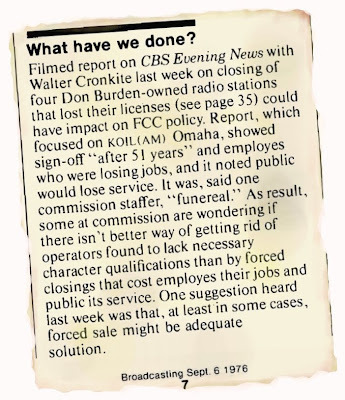 That's when, on Sept. 2, just after midnight, the Federal Communications Commission ordered legendary Top-40 blowtorch KOIL off the air. As in canceled its license. According to the commission, Star Stations owner Don Burden did very, very bad things. According to Burden and his employees, political and business enemies railroaded the Omaha radio tycoon. 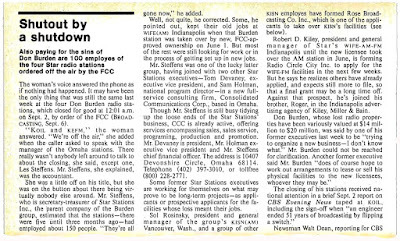 Nevertheless, the flagship Star Station -- KOIL -- was toast after 51 years on the air. So was its sister FM station, KEFM. So were Top-40 giants in Portland (Vancouver, Wash.) and Indianapolis. THE FEDERAL "death penalty" made news across the country. 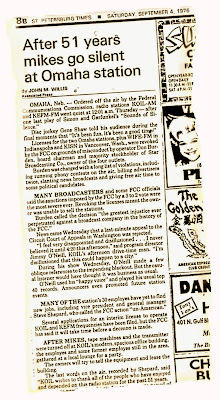 It was all over Broadcasting magazine (here and here) and the other trades. And the Mighty 1290 was no more . . . for a while. KOIL came back to the Omaha airwaves in December of '76, with a new owner. But never again was it truly mighty. And soon enough, all that was left were the call letters, parked by corporate owners on another frequency, a robostation spitting out whatever the satellite and the automation dictates. See, some things are worse than death. 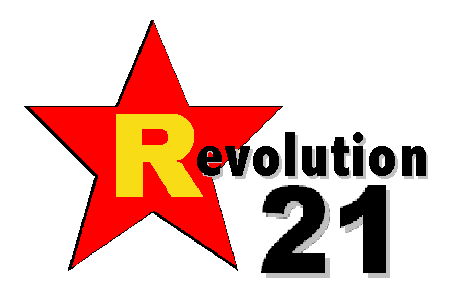 billing advertisers twice, slanting news broadcasts and giving free air time to some political candidates."